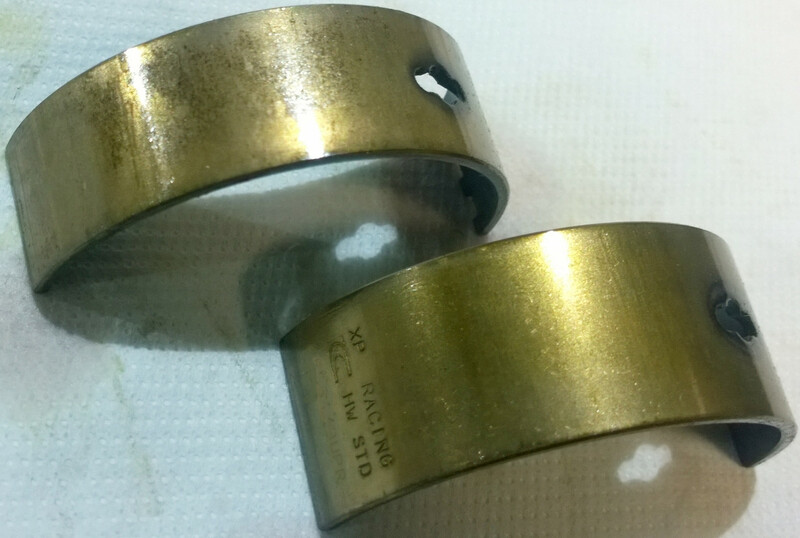 I just found some new King Race bearings I was going to install have some rust on their backs! The back is rough to the touch, then it has a thickness, and that's why the oil clearance is affected, as shown by the dial gauge. Strange is that these bearings were correctly sealed in their plastic wrap. Please have a look and happened to anyone else? Ship them back or lightly scotchbrite it? I would send them back if that is an option. No need to fiddle with something that is not right unless in a rush to make a race in my opinion. Send back. At least call. I use to blaze it up with Rusty back in the day Good enough bloke but I wouldn't use his bearings. Do you have anything at all to add to this forum or are you just using a 2nd name to troll now that Don isn't here to stop you? That's pretty low, IMO. My apologies if I have offended,,,,,,,,,,,wasn't my intent...and I thought YB was brutal...(I really wouldn't use the bearings), just a poor attempt at humor I suppose. "Unfortunately, the times I've tried to ask questions about stuff I was curious about in the past, my questions are usually ignored. That doesn't really perpetuate an atmosphere of learning or sharing, imo. Which is supposed to be the entire reason for forums like these, I thought. Hopefully we can get away from the "holier than thou" attitudes and get back to sharing knowledge and not ignoring people who ask questions in a attempt to learn just because they don't know as much as the next guy." This is one of the reasons I decided to join and participate.. I can't touch and see these bearings but is this really a big deal? The rust is on the steel side of things. Would a little scotchbrite make things more palatable? I mailed them and they replied showing some interest, but no more news since 10 days. chances are someone touched that bearing before it got the preservative or the preservative just missed a spot. Try calling Ron Sledge, King's Technical Manager at 973.857.0705 or 615.631.4523 (cell phone) and he will be able to help you. I am certain that he will tell you not to use these bearings, nor attempt to dress them with Scotchbrite or other stuff. It is absolutely imperative that the backside of the bearing shell contacts the housing bore completely. This contact is necessary to insure that heat is transferred from the bearing to the housing and also that the shell back has total uninterrupted contact with the housing bore so that the bearing has forced contact with the housing as a result of bearing crush. 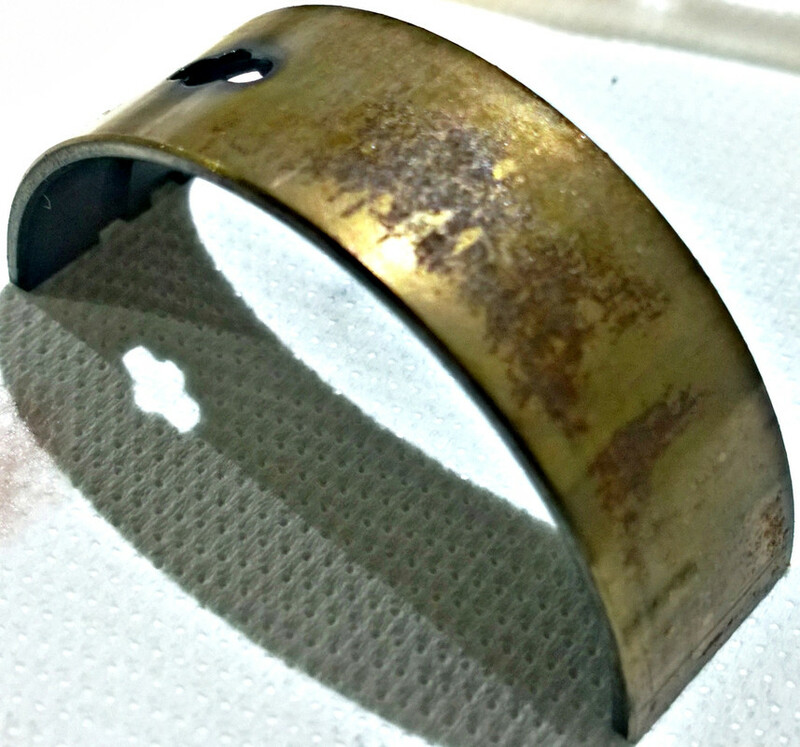 Any rust or pits on the bearing shell will interfere with this necessary contact and pressure between bearing shell and housing.